the 7L Cabin Blog: Fun, progress and hot water! I don't see a safety issue here do you? 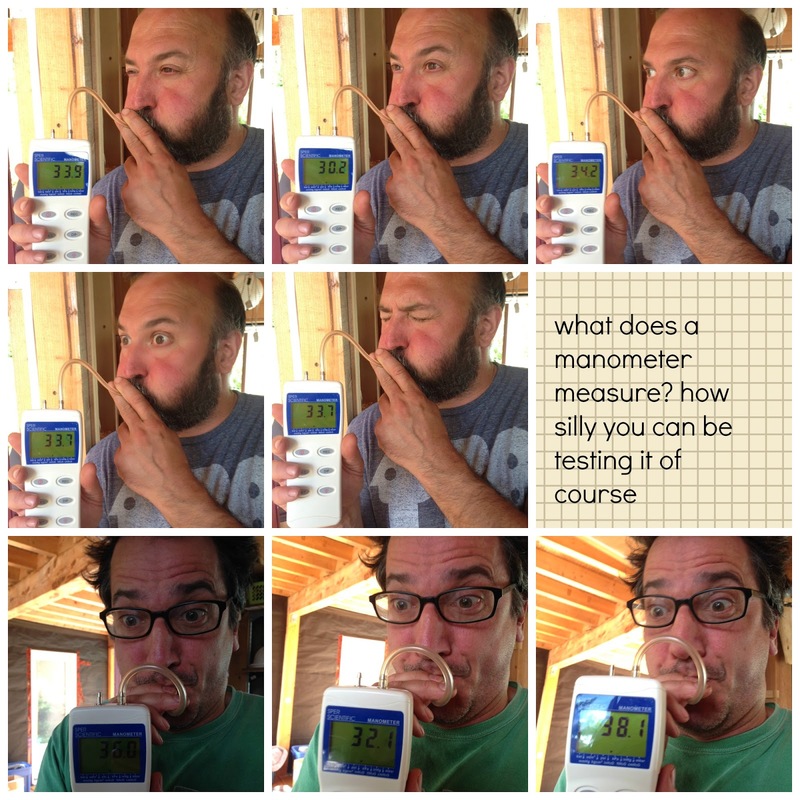 Men being silly with the manometer which actually has something to do with propane. Such a great mix of fun and progress as we begin the finishing work on the cabin. Indoor cooking! Plumbing! Hot water! It's all kind of amazing.